Seven mountain rescue teams, two helicopters and search dogs from across the North of England took part in the search for Richard Cockerham, who was found on Monday near Scafell Pike. 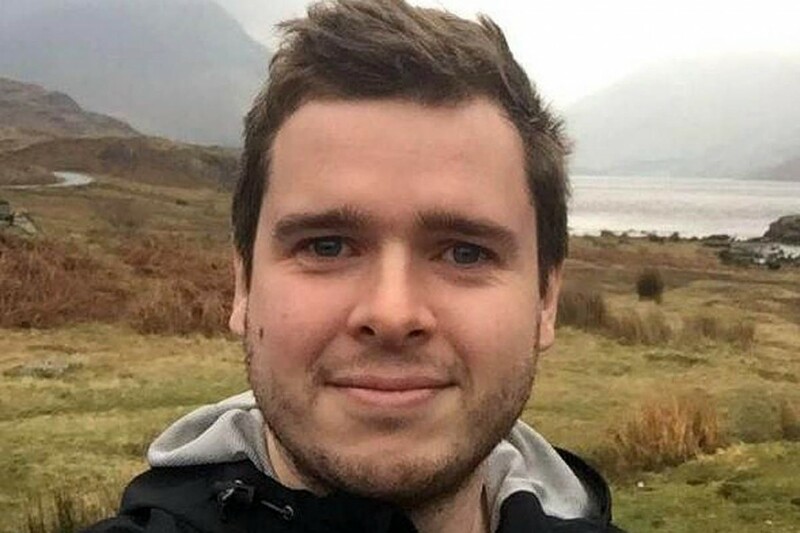 The 28-year-old from Leeds was reported missing on Sunday evening after he failed to return from a walk up England’s highest mountain. He was airlifted to hospital with injuries after being found about 10am on Tuesday by search dog handlers in upper Eskdale on Tuesday. 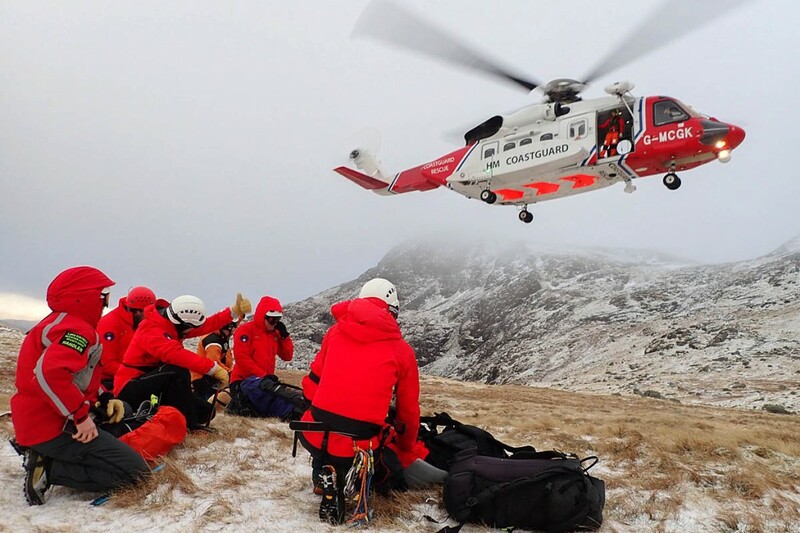 Keswick Mountain Rescue Team was one of those who took part in the search for the lost walker. Twelve of its members took part in the operation on Sunday night and Monday morning, with a further 22 involved on Tuesday. A team spokesperson said: “The team was requested to assist Wasdale MRT on the evening of the 14th. The team covered footpaths up to the Styhead stretcher box and Esk Hause, but there was no sign. “Given the foul weather, the search was continued on a much larger scale on Tuesday, with five teams, a Coastguard helicopter from Prestwick, and search dogs involved. “Keswick team, having been out the night before, covered other teams’ areas for the day, while Wasdale, Duddon, Cockermouth, Kendal and Penrith teams continued the search. 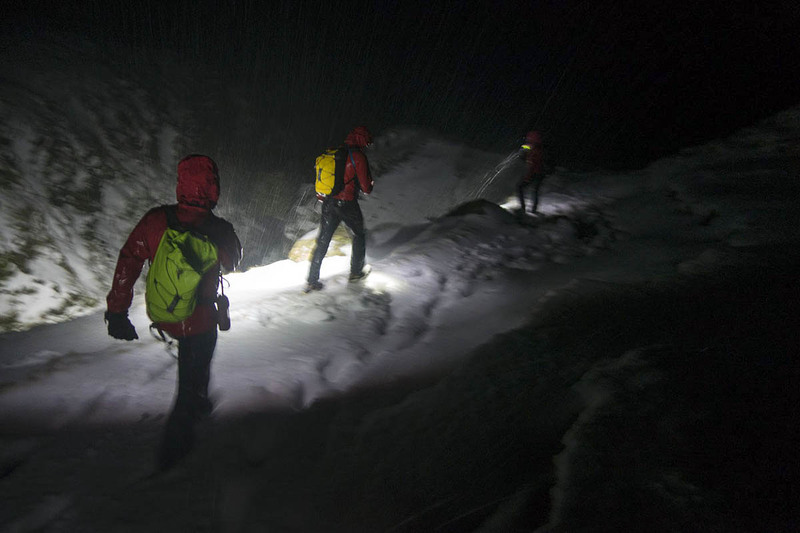 “By nightfall, there was still no sign of the missing man, who had by now been out for 36 hours in really poor weather. The Keswick team was asked to mount another complete search of the crags around Scafell Pike itself, and then the top of Great End. The spokesperson said: “A helicopter from Caernarfon was in process of lifting the first group up to Scafell, when word came in that the missing man had been found near Scar Lathing in Eskdale, after a search dog party heard shouts for help. “He had suffered injuries in a fall, and was flown to Furness General Hospital by Rescue 936 [the Caernarfon Coastguard helicopter] for treatment – but he was alive after 48 hours out in really foul weather. Wasdale Mountain Rescue Team said colleagues from Duddon and Furness joined the search on Sunday, with the Monday operation involving themselves and teams from Kendal, Coniston, Penrith, Cockermouth and Lake District Mountain Rescue Search Dogs. The search on Tuesday saw volunteers from Wasdale, Keswick, Kirkby Stephen, Duddon and Furness, and Bowland Pennine teams and members of the RAF Mountain Rescue Service. “There were dogs from the Lakes and as far away as Oldham from Search and Rescue Dogs Association England,” a Wasdale MRT spokesperson said. “Around 10 o’clock this morning shouts for help were heard in the Silverybield Crag area in upper Eskdale. “The missing walker was found stuck in boggy ground. He’d been moving throughout much of the time and had injured his wrists the previous evening. He was airlifted to hospital by the Coastguard helicopter from Caernarfon. A good outcome. “We’d like to thank all the teams, dog handlers, air crew, police and others who’ve supported the search, often in difficult conditions. Neil Blewett, aeronautical operations controller at the Air Rescue Coordination Centre for HM Coastguard added: “This is a fantastic outcome and testament to the perseverance and determination of not only the huge number of teams out searching but also the casualty. “Hope was fading of finding the walker safe and well after such a long period in such challenging weather conditions. He is mildly hypothermic and has sustained some other minor injuries but is conscious and has been flown to hospital. A very lucky guy who probably owes his life to the professionalism and determination of our wonderful rescue services. Hats off to them and their four-legged members. On a personal note, I now carry a PLB (Personal Locator Beacon) with me on the hills in the event of becoming immobilised and unable to make contact with a phone. Compared to the cost of some of the gear we use, they're excellent value and could save a lot of time and effort in locating a solo walker in trouble. Wishing Richard a speedy recovery. Some great news for a change. Well done MRT and speedy recovery Richard, very glad you're okay. A very lucky guy indeed,he was obviously well kitted out for the conditions or this may have ended differently. A massive well done to all involved with the rescue operation,great to know you`re there if a trip goes pear shaped! It would be interesting to know if he had /made any shelter and what other emergency equipment he had.